It was my privilege to be requested to photograph this year's graduating class at Alcanta International College, Guangzhou. 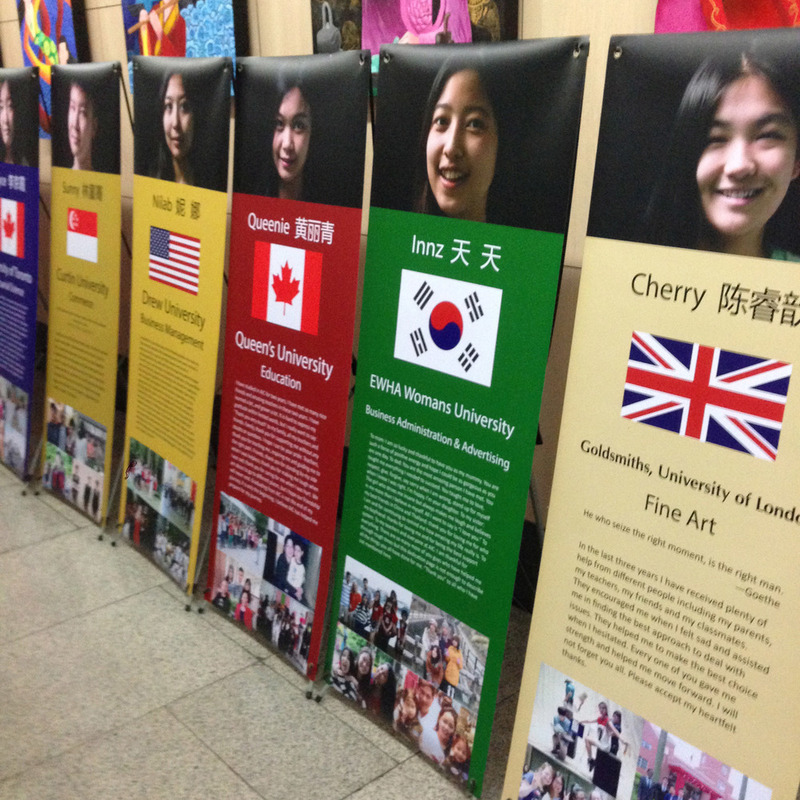 These portraits, along with the college's Academic Directors and the Executive Director's images, were to appear within the Graduation Programme as well as on the students own 'banners'; which on Graduation Day, displayed their university places or choices as well as their personal messages to their family friends and teachers. One of the challenges of this kind of job is consistency with lighting (especially if not all the subjects are there on the same day of shooting). Then again keeping that consistency is also important during post production.Another challenge was putting these nervous young people at ease and to try and catch a glimpse of their natural personalities during the last week of their exams (which was when the shooting took place), . The lighting set up was simple - using only one off camera flash with an umbrella and a reflector as a fill. I wanted to create the atmosphere of a Dutch painting - a kind of warm intimacy, yet professional and dignified at the same time. I found this "guide to lighting the face" useful when preparing for this job. I think the students liked their portraits and their Graduation ceremony and celebration was a big success as well as a very pleasant evening. I wish them all the very best as they progress onto their next adventures at university.